THERE IS a lot of excitement about Dublin punk/garage/shoegaze band The Murder Capital right now, and Galway will get a chance to see why when the quintet play Strange Brew at the Róisín Dubh. 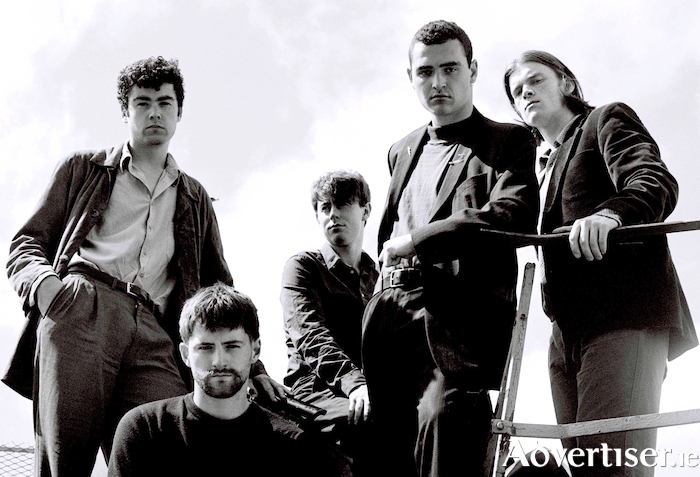 The band - James McGovern, Morgan Wilson, Damien Tuit, Matt Wilson, and Cathal Roper - won attention for their song ‘More Is Less’, released in the summer, Nialler9 saying it "bristles with punk energy and is remarkably well-defined, channelling the spirit of Fugazi in the late 80s". Comparisons to Fugazi were also made by The Irish Times, which also compared The Murder Capital to The Horrors and Girl Band. It said ‘More Is Less' "makes an immediate impression with its punk-rock energy and intense delivery". It also noted the "confrontational delivery" of frontman James McGovern, whose "thousand-yard stare at the audience prompts double takes to see if he’s looking at them. Phones are put away in reaction". The Murder Capital play the Róisín on Thursday November 1 at 9pm. Tickets are available from www.roisindubh.net; the Ticket Desk at [email protected], Shop Street; and The Róisín Dubh.